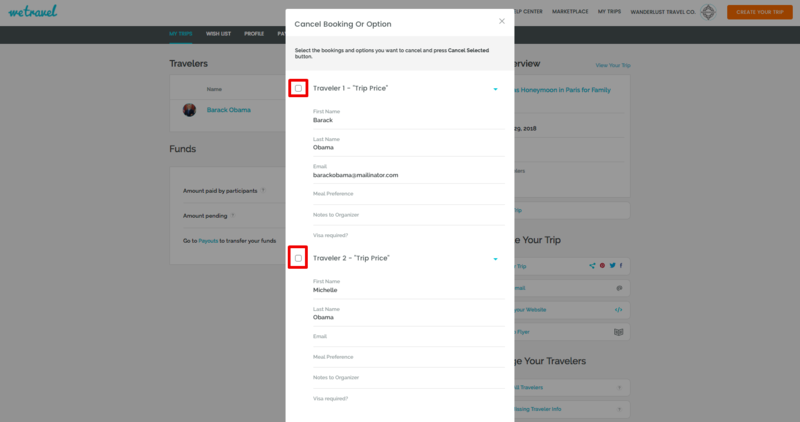 How to refund and cancel just one person of a 2 person booking? 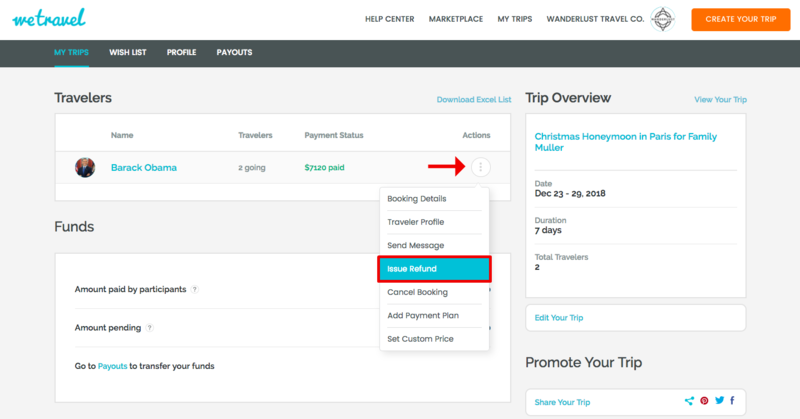 Learn how to cancel and refund (or apply the amount towards the balance due) just one person in a two participant booking. Let's take the following example. A couple makes a booking for 2 people. The trip costs $1,000 with a deposit of $200. They book the trip and pay a $400 deposit. 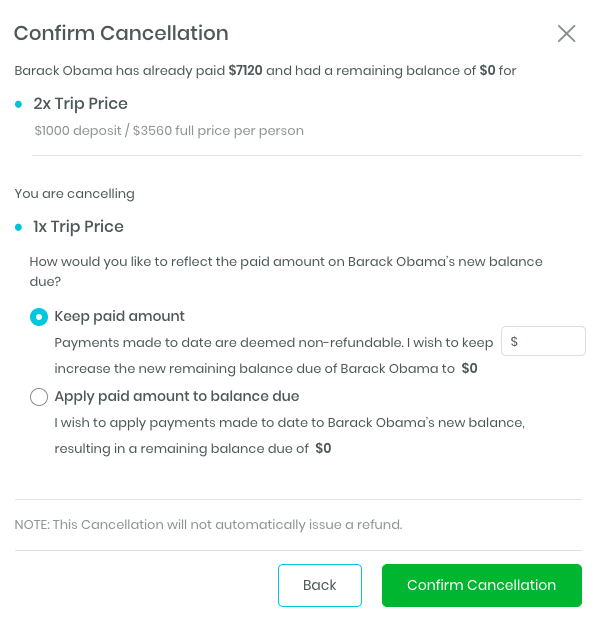 Keep the paid amount (non-refundable deposit) - just enter the dollar amount you wish to keep. 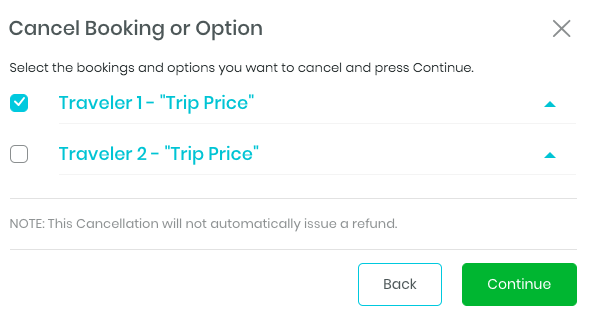 Please also choose this option if you wish to refund the payment to the customer immediately. Apply the paid amount to balance due of the other person, reducing their outstanding balance due. Please choose this option if the deposit is refundable but the client would like the funds to be applied towards the other person's balance. Press "Confirm Cancellation" and you have now removed one of the two participants from the trip. Click on "Refund" next to the participant's name. 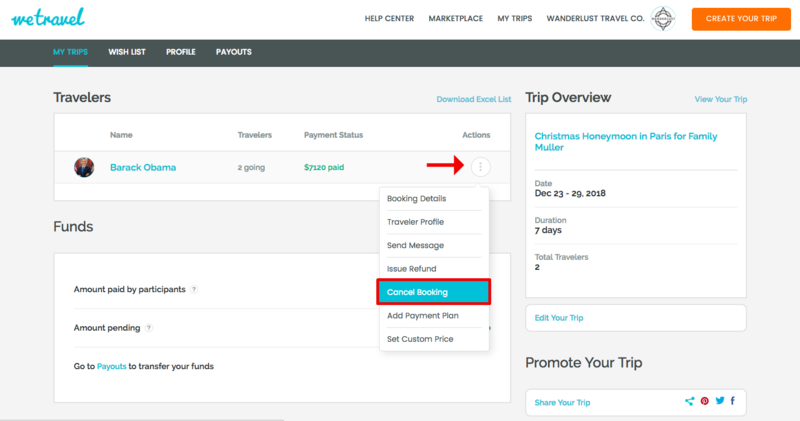 Next, click on "Partial Refund". Then, enter the amount (in our example $200) and click on "Refund". An automatic email will be sent to you and to the participant confirming the refund. Please note that once issued, a refund cannot be canceled nor reversed.